Space Travel and AI — Is This the Future of Investing? And will we be alive to witness this? While many experts try to predict the future of investing and its further development, there’s not a single guarantee what will happen. So all we can do is take a guess and make sure that we do it as good as possible. I have previously briefly explained my views and opinions on the subject of AI-related with tech-companies. I went through several points such as its slow take over the market as a whole and its incorporation into our daily lives. But, can the same thing be said for investing in space travel as well? Space — or as some people call it “the final frontier”. A never-ending, infinite canvas for exploration. Travel — signifying a journey of going from one place to another, or moving from one place to another. Traveling also means advancing, and that’s exactly what we did here — we advanced the traveling by traveling to space. The human race recognizes quite a bit terms regarding the term- Space travel. It is also called space exploration, interstellar travel, and spaceflight. Each of these terms is self-explanatory representing the exploration and discovery of celestial structures in outer space. So, when did these uncoverings started? Why are we obsessed with finding what’s out there? Centuries ago, the primitives were in disbelief something does exist out there and we still have no idea what it is. And that makes it all more fun, doesn’t it? Back then, people lost lives trying to go to space and explore. It really is an interesting thought that we haven’t fallen out of love with that journey yet. Even to this day, space is one of the most fascinating discoveries for mankind. Before the greatest and most known landing on the moon, there were several successful efforts that are worth mentioning. Four years later, on 12th of April 1961, Yuri Gagarin became world-known because he was the first human to orbit around Earth. His flight was 108 minutes long. Landing on the Moon — July 20th, 1969 is when Neil Armstrong took ‘’one giant leap for mankind’’ as his feet stepped onto the Moon. 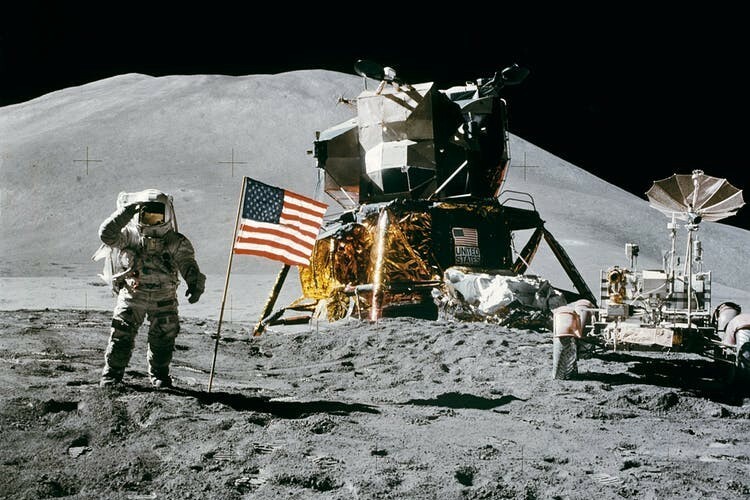 Between the year of 1969 and 1972, in a total of six Apollo missions were made to explore the Moon. Did you know that, despite popular belief that it was NASA who did it, the space rocket Saturn V that took the first men to the Moon was actually built by Boeing, a company from the private sector? For many decades now, ever since the space exploration started, private companies are contributing to the production of rockets, spaceships, satellites. The impressive technological development and the money invested in this field have granted what was once unimaginable, to now be completely possible. And not to mention that we are just scratching the surface of space exploration. 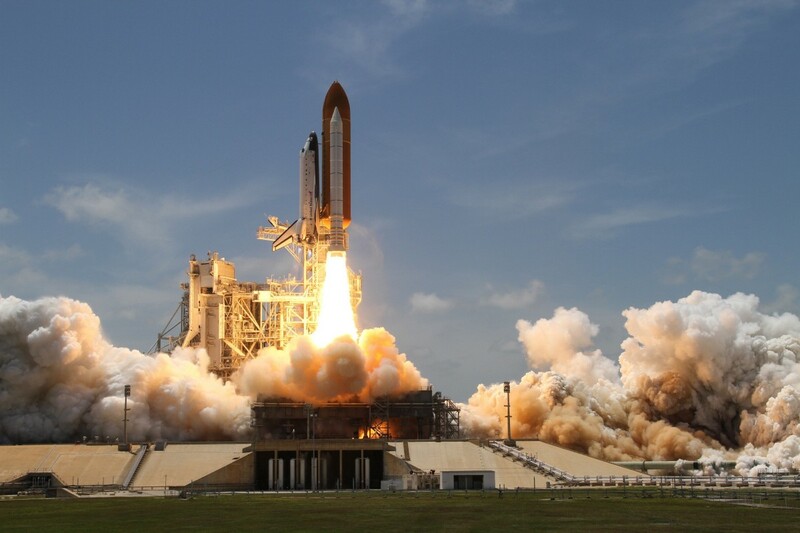 Since the very first attempt to explore space, there were many more great trips and discoveries made by amazing space shuttles and astronauts. This industry does not rest at all, and in the following years, it is only expected to grow even more. But from an investing point of view, what are the benefits of this? Are we doing all of this for the right reasons? Many space exploration missions are scheduled to occur in the years to come. Many space missions are about to take place in the years to come. Most of the space missions are with a purpose to launch spacecraft into space in order to provide valuable information about the outer-space, nearby planets and asteroids. The idea is to get the space travel to a point where it is a safe way of traveling. James Webb Space Telescope — Scheduled to launch on 30th of March, 2021 as a collaboration between ESA and NASA. This infrared telescope will be launched to serve as the premier observatory of the next decade. Space, as an investment, will impact many industries in the future. 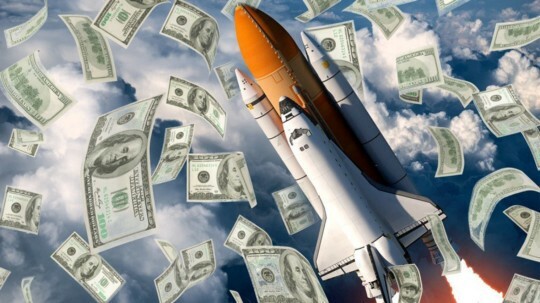 The revenue generated by the global space industry in 2016 was 350 billion dollars. By 2040 it might even surpass the trillion dollar mark. Investors have always been able to participate in this industry, at least to some extents. But nowadays with private companies in the space race, such as Elon Musk’s SpaceX or Richard Branson’s Virgin Galactic, this has become much easier. While SpaceX concentrates mainly on space exploration, Branson’s company is developing a strategy for commercial space, meaning he is trying to make Virgin Galactic the first space tourism company — taking passengers on suborbital and orbital space flights. Impressive right? Put in such a perspective, now may be the best time to invest in the new space race. This is the wakeup call for investors. On another note, many industries can and will be developed on top of this field. For example, cleaning space junk or creating on-demand meteor showers (yes, this is already happening). So all in all, the most probable outcome is that investing in space, and everything that has to do with this, will basically take over the market. As an investor, if you are exploring this option, make sure that there is a value to be unlocked from your support of these activities. Moreover, check what is the return rate of your investment and are there any risks. You can either invest in stocks, mutual funds or startups. Space travel and artificial intelligence are connected. Therefore, pretty much the same rules for investing in space travel, apply for artificial intelligence as well. Most probably, in the future, they will share the same field as well. Even NASA said it — Artificial Intelligence will lead the future of space exploration. As both fields improve and expand with the speed of the lights, they somehow became so wired that it is barely impossible for the space travel to survive without the artificial intelligence. Robots will be prepared for the unknown, therefore recognize surprises. The AI is certainly beginning to change and influence the space researches and discoveries for the better.